Furrowed brows no more. The luxurious texture of Plume Nourish & Define Brow Pomade by Plume promotes the appearance of full brows, while adding a look of definition and color to your best feature. Infused with ingredients from Plume’s award-winning Lash & Brow Enhancing Serum, this natural formula lends a nourishing quality to sensitive skin and hair, and is available in five, smudge-proof shades. Raise a brow to lush, healthy looking brows. 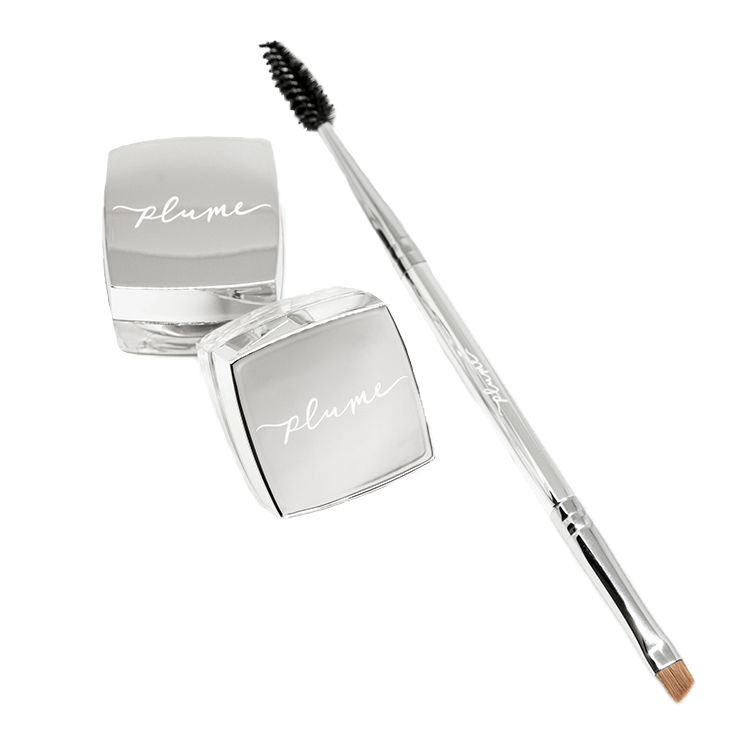 • Plume Nourish & Define Brow Pomade is best applied with the Plume angled brow brush. • To ensure even application, dip brush into the pot and swipe against skin or inside of cap before applying to brows. Apply more as needed. • After applying color, use the spooley end to blend the color into brows. It is good, but not smudge-proof. My eyebrows are very thin on the outer half and I have to draw on brows. This product is better than pencil, but not smudge-proof. 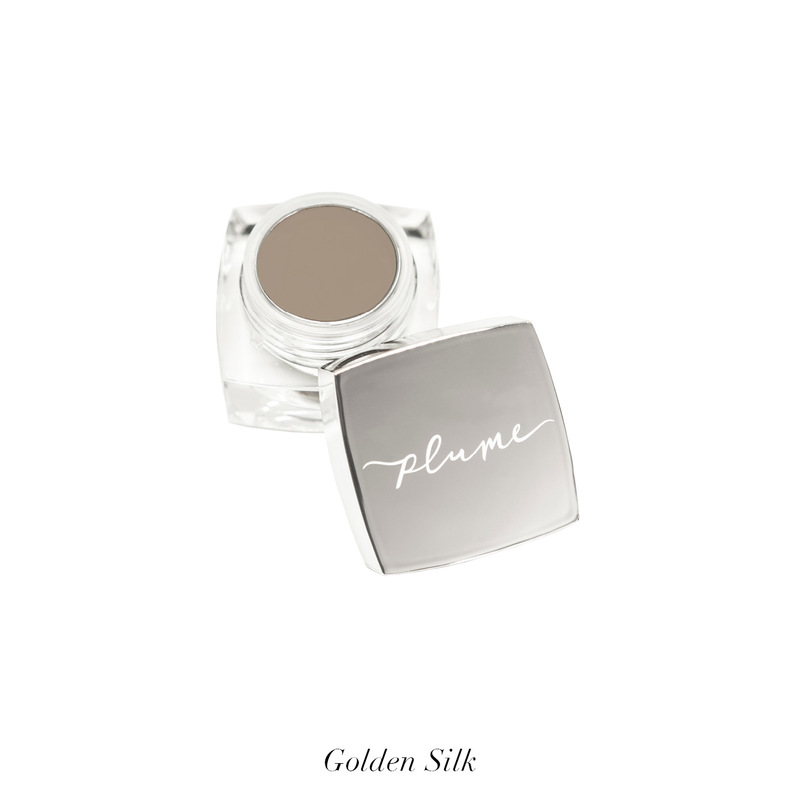 I have learned to draw my brush across a gold pressed powder shadow, then through the pommade and then draw on my brows. It tones down the intense color and lasts longer and is more resistant to disappearing by day's end.